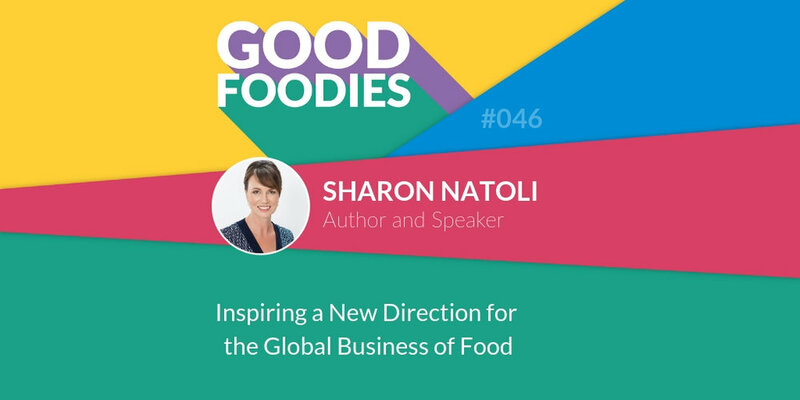 This interview aired on The Good Foodies Podcast in January this year. The podcast is all about people doing good in the world of food is a great addition to your podcast subscriptions! For more info click here. What does the future of food look like? How can brands keep up with changing consumer consciousness and build a food system that’s based on strong physical, social, environmental and cultural values? That’s the topic of today’s show with author, speaker and industry expert, Sharon Natoli. Sharon was a founding director of Food and Nutrition Australia back in 1997. She has qualifications in nutrition and business marketing and has worked with a range of clients – both big and small – over the last 25 years. She also maintains regular contact with individuals looking to change their eating habits. Her work revolves around preparing brands for the future by developing food centred values and leveraging these values to create a meaningful and genuine voice that facilitates trust and connection with consumers in the market. Today’s episode should really get you thinking about your brand, your customers and the changing landscape of the business of food. One to listen back to, for sure!